In 1991 I was unemployed and living a bucolic life in my cherry orchard in the Pacific Northwest of the United States, and I was looking for a job in academia. I saw an ad for a position at The Chinese University of Hong Kong, so I applied for the post thinking that it would probably come to nothing. Anyway, the men who interviewed me asked if I could assist in establishing an English language student newspaper at CUHK. I thought this would be easy for me, having worked in the newspaper business and also having taught journalism at the university level, so I said yes. The interview ended without commitment on either side, and I went back to sleep thinking that it would probably come to nothing. 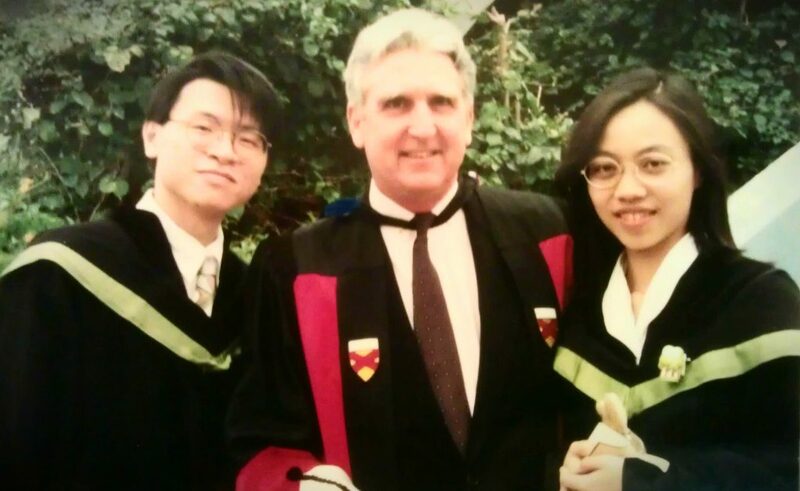 But much to my surprise, about four weeks later, I received a lengthy 3-year contract in the mail to teach at CUHK, and I was given one week to sign it and return the paperwork. At first I was filled with trepidation: My environment in Oregon was quiet and rural – only 16 people per square mile – and Hong Kong is one of the world’s greatest and most bustling cities. I read that some parts of Hong Kong like Mong Kok had a population of 160,000 people per square kilometer! I did not know how I would survive the congestion and the noise. On the other hand, I knew a move to Hong Kong would be a lifetime adventure, and I am an adventuresome sort, so I signed the contract and returned it to Hong Kong by speedpost. The man who hired me was indeed Prof. Leonard Chu, who I believe today is a professor at National Chengchi University in Taipei. After I returned my contract by speedpost, Prof. Chu wrote to me to welcome me to the JLM staff, and in that letter he gave me my Chinese name, Mak Ging Tai. When I showed up for work on 2 September 1991, Prof. Joseph Chan met me at Kai Tak Airport and drove me to the CUHK campus guest house. Much to my surprise, the chairman when I walked into the department the next day was not Prof. Chu, but Prof. George Comstock, a well known American scholar. I had long admired his writing, but I had never met him in person, so it was a pleasure and an honor to serve under him. Now all eyes were on me as I worked out details for an English language student practicum publication, as it came to be known. I had to develop a design, identify the target audience, decide on staffing, develop a budget, decide on a production system and a printer. And so on and so on. As a first step, I wrote a proposal called the United States Student Newspaper Production Model, based on my experiences with university student newspapers in the U.S. The plan called for a 4-day per week student tabloid newspaper printed in black and white on newsprint. This is standard for student newspapers on U.S. university campuses. Costs would be covered by a small, part-time student-run advertising department headed by a full-time professional advertising manager. Advertising staff would receive a small salary and receive commissions on ad sales. All editorial and production, except printing, would be done by student staff members. The target audience would be students on university campuses in Hong Kong. There were only three universities at the time. A lot of my ideas did not pass muster, so to speak. My JLM colleagues told me there was no way CUHK students would work so hard as to put out a daily newspaper, and there was only lukewarm interest in drawing on advertising courses for practicum credit in advertising. On a more positive note, I was deeply impressed by the students in my English news reporting and English news editing classes. I needed to draw on their energy to get the project off the ground, so I gave the editing class my basic proposal in the spring of 1992 and asked them to come up with a plan that they could live with. I divided the class into 4 teams of 6 people each, and I asked each team to develop a proposal and make a presentation to the faculty. 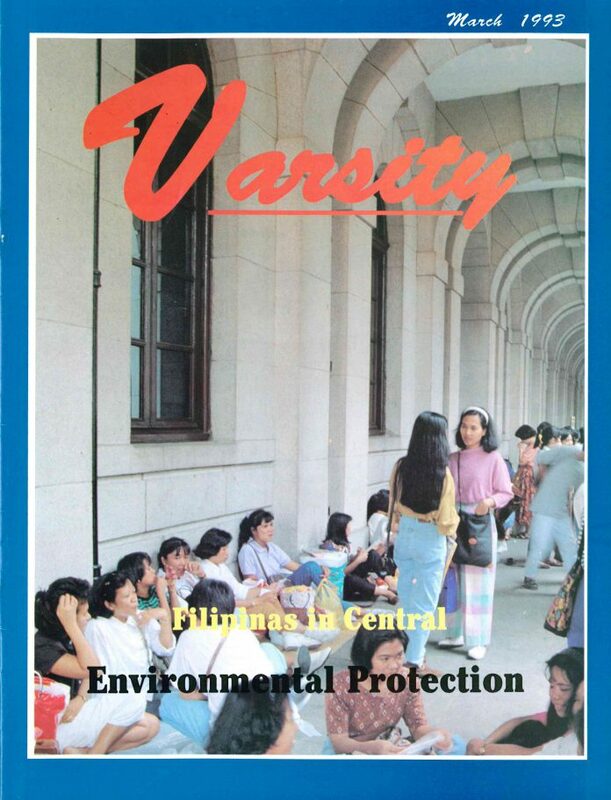 Late in the spring the teams made their presentations, the faculty members who were present made a decision, and this was the birth of Varsity – a monthly news magazine targeting the university community of Hong Kong. The name of the magazine, the basic design, the target audience, the proposed editorial departments. . . all these were conceived by the team from the editing class. I believe this team was headed by Esther Wong, who was an outstanding student. So far, so good. But I also needed money. Prof. Comstock asked me to develop a budget, so I wrote one in the autumn of 1992 for HK$140,000 to cover the first year of operations. Prof. Comstock and I took the proposal to the vice-chancellor at the time, Prof. Charles Kuen Kao (yes, that Kao, the one who won a Nobel Prize in physics). Prof. Kao approved the budget and, in time, he became one of Varsity’s most ardent supporters. The next big hurdle was setting up a production system. At a university in Los Angeles, before I came to Hong Kong, I was in charge of planning and funding all computer labs for my college. In one lab in 1989, we had Apple and IBM desktop publishing systems running side-by-side, and the verdict was that the IBM system was superior. Naturally, I drew upon my experiences in LA in deciding on a production system at CUHK, but the JLM department had no computers for student use. It also had no desktop publishing software, no scanners, no network, and no technical support. In the English news reporting and editing classes, students at that time had to check out small portable typewriters from the general office before class and return them after class. That was how technologically behind we were. We did not have computers, but we did have typewriters, so one quick way to get off the ground was to buy a flatbed scanner that could scan typewritten material. I could find only one flatbed scanner for sale in all of Hong Kong, at an HP distributor. I went to the HP offices for a demonstration, and the staff there did not even know how to operate it. I bought the scanner anyway and brought it back to the JLM department. We connected it to a single computer in the JLM main office, and suddenly we had a primitive desktop publishing system. Most of the hardware and software problems, of which there were many, were solved by Peter Li, an outstanding student in one of my editing classes. The next major problem was finding a company that could output our computer files as films for stripping and platemaking. This was very difficult because of software problems and incompatible hardware. 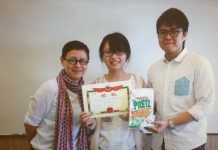 We went to two or three different output companies – and two or three different printing companies — before we finally settled on C&C Offset in Tai Po. So, after many trials and tribulations, we finally published the first issue in March 1993. Subsequently, Varsity acquired a life of its own and took off like a well-oiled machine. Its success surprised even me. One of our greatest achievements was to become the first online publication in Hong Kong, long before the establishment of the World Wide Web. During all those years, from 1991 until my retirement in 2004, I always asked the students to lead the way, and they never disappointed me. No matter how difficult the task at hand, no matter how great the challenge, they always threw a lot of energy into each issue. It was my honor to serve as their mentor, but Varsity’s success is due to their commitment and dedication, and it is the students who deserve all the credit.